Granite memorial commemorates the centenary of the discovery of gold at Pleasant Creek in 1853. 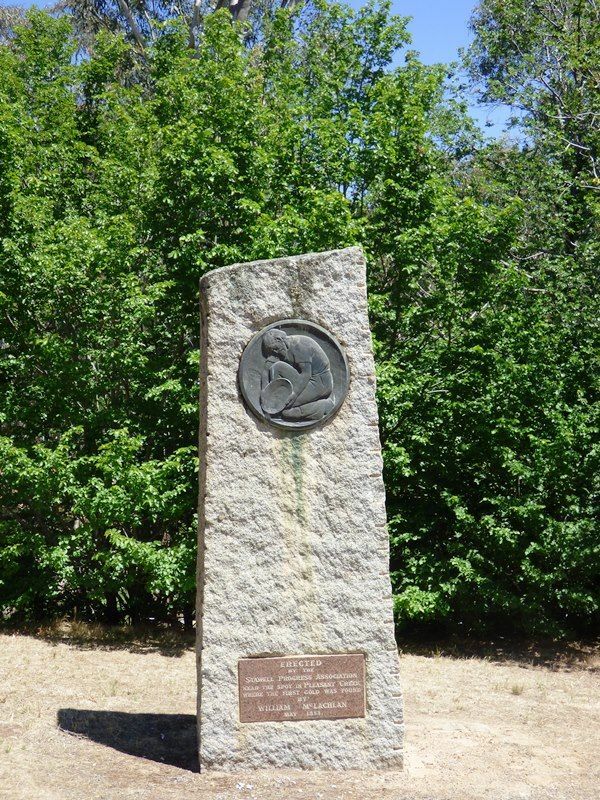 Gold was first discovered in Pleasant Creek near this memorial in May 1853, by William McLachlan, a hut keeper (or shepherd) employed by a Dr. Blunden. 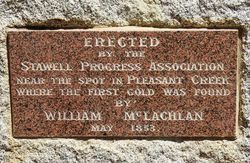 McLachlan found gold after panning in the Pleasant Creek, which was at that time part of Blunden's Concongella Station. 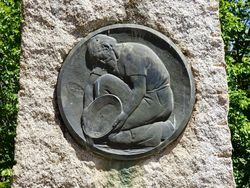 This small find drew prospectors to the area which resulted in the large gold rush of 1857. 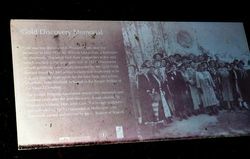 Discoverers of new goldfields were usually rewarded by the Gold Fields Reward Board but McLachlan`s claim was disallowed as he was not directly responsible for the later finds.